When we first saw the BMW M2 Competition, it looked like a pumped up, angrier version of the M2, an already pumped up and angry car. 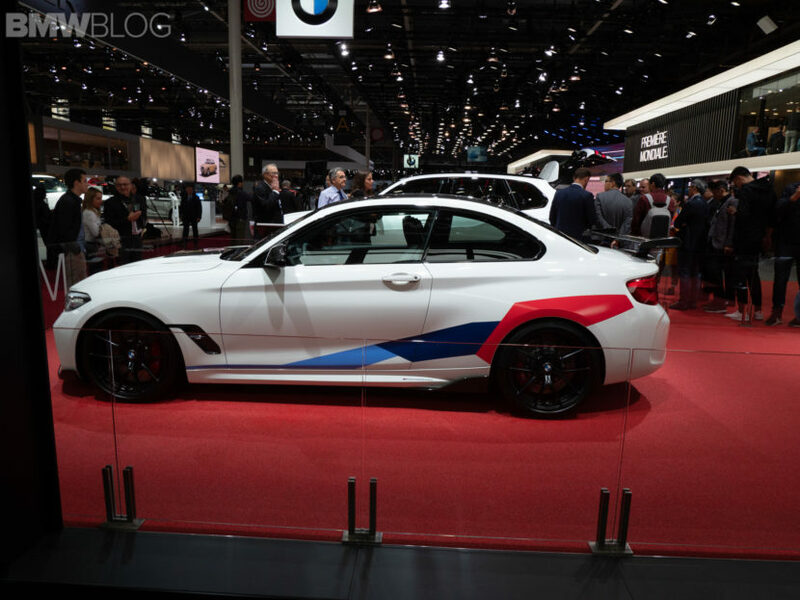 The M2 Competition’s bigger wheels, larger nostrils, bulged hood and more aggressive aero made it far meaner looking than the car on which it’s based. Yet, it can get even angrier still. 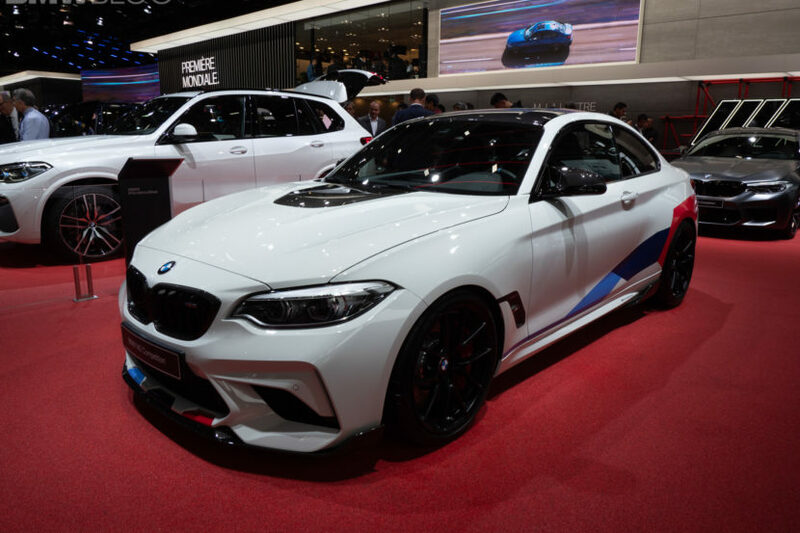 Seen here at the 2018 Paris Motor Show is the BMW M2 Competition wearing M Performance parts and they turn its fury up to eleven. At the front, it gets gloss black Kidney Grilles, a carbon fiber front lip and, interestingly, a gloss black hood bulge, which looks different on an Alpine White M2 Competition with M Performance livery. Out back, a fixed rear wing, made from carbon fiber, and a new rear diffuser add some aerodynamic upgrades while the M Performance exhaust will add an angrier sound and some cool looking pipes to play it. It also gets black Style 763M wheels and some little black Air Breathers as well. 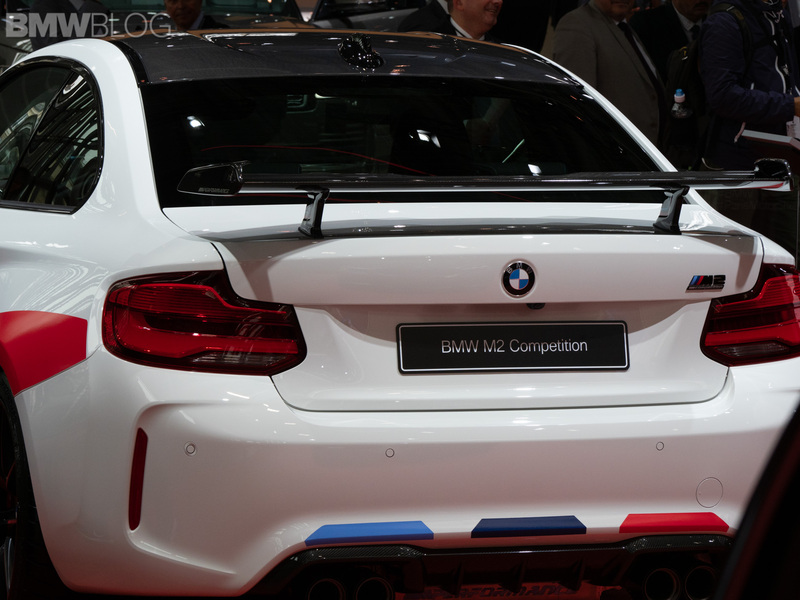 Overall, there M Performance parts make the BMW M2 Competition visually very loud. There’s so much going on that it’s almost too much. Though, if you’re buying sportier parts for an already incredibly sporty car, we’re assuming “too much” is what you’re going for. With the fixed rear wing, new wheels, front lip and rear diffuser, the BMW M2 Competition Package looks like it’s ready to tackle GT4 racing. In fact, it doesn’t look much less track-ready than the BMW M4 GT4. M Performance parts are great upgrades, though, because you know you’re getting the real deal. When you go to a tuner and buy aftermarket upgrades, you really don’t know the quality or fitment of what you’re getting unless you’ve dealt with those specific brands before. You also don’t know the quality of work you’re getting. When it comes to M Performance parts, they’re being built by BMW and installed by BMW, while also being worked into your monthly payments, so you know you’re getting professional stuff. Oh and you maintain the factory warranty. Nice.